American critics are going all out to derail President Obama’s nuclear deal with Iran, which also involves the other four permanent members of the UN Security Council — Britain, France, China, and Russia — plus Germany. (This group is referred to as the “P5 + 1,” in which the U.S. has taken the lead in negotiating with Iran.) The agreement seeks to prevent Iran from developing a nuclear weapons program in return for the gradual lifting of economic sanctions, but the critics are trying to portray the proposed pact as having just the opposite effect The agreement will ultimately lead, they aver, to a nuclear armed Iran that will dominate the Middle East and become a major threat to American security. This essay unavoidably repeats some of the Obama administration’s defense of the agreement in order to go beyond what it has said and make the case that the ultimate effect of the criticism of the deal, whether realized by particular American critics or not, is to protect the interests of Israel, as those interests are perceived by the Israeli right , and that this has little to do with any alleged Iranian development of nuclear weaponry but rather reflects the Israeli fear of Iran attaining the status of an upstanding member of the world community as a result of this agreement. Although there is no firm evidence that Iran ever had a nuclear weapons program, the agreement puts that country under the toughest type of inspections in the history of nuclear non-proliferation. 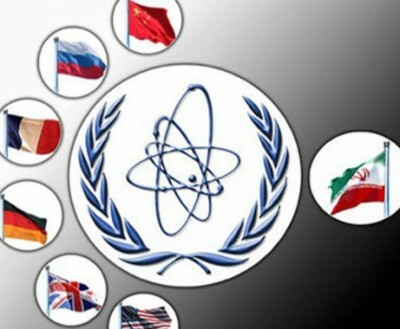 Iran will be required to place limits on what it can do in the nuclear area that far exceed the requirements of the Nuclear Non-Proliferation Treaty (NPT), of which it is a signatory. For example, it must give up 98 percent of its enriched uranium, all of its plutonium producing capacity (which could be used for nuclear weapons), and two-thirds of its centrifuges (which are used to enrich uranium). What Iran will not have to do is give up a nuclear program that includes enrichment of uranium. However, Iran will only be permitted to enrich uranium to a very limited degree, not more than 3.67 percent, which is sufficient only for nuclear power. This will preclude it not only from developing weapons but also from various civilian activities, such as some medical applications. Critics, however, are vehemently opposed to allowing Iran to engage in nuclear enrichment altogether, demanding that its existing nuclear enrichment capability be dismantled. This would prevent Iran from having a full-fledged peaceful nuclear energy program and would make it dependent on outside sources for nuclear fuel, which could be blocked. The critics’ position, however, would seem to seriously conflict with the position of the NPT, which stipulates in Article IV that signatories have “the inalienable right . . . to develop research, production, and use of nuclear energy for peaceful purposes.” The right to peaceful use of nuclear energy is considered one of the “three pillars” of the NPT, the other two being non-proliferation and nuclear disarmament. The NPT actually obligates nuclear powers to help countries to develop nuclear energy for peaceful purposes, which is a significant reason that countries without nuclear weapons would join the treaty. While the U.S. has sometimes successfully pressured countries not to engage in nuclear enrichment (Taiwan being one example), it does nothing to try to stop NPT members Germany, Japan, and Brazil from doing this. The critics, however, imply that such a right is contingent upon Iran’s not having any past infractions of the NPT, but this is not part of the law, and reflects the proclivity of people in the United States–and sometimes the U.S. government–to assume the right to unilaterally interpret international laws and apply those interpretations to other countries, which could even serve to justify attacks by the United States. Thus, critics of the agreement have claimed that the U.S. might find it necessary to attack Iranian nuclear installations, or support a comparable Israeli attack, even if the International Atomic Energy Agency (IAEA)—the international watchdog agency charged with verifying compliance—had not discovered any Iranian effort to develop nuclear weapons. Obviously, this approach represents a complete rejection of impartial international law and implies that the powerful determine what is right by virtue of their power. Critics contend that Iran will inevitably cheat since it will have clandestine sites involved in nuclear weapons development. However, with high tech surveillance it would seem to be virtually impossible to hide suspicious sites. And the agreement will allow for the IAEA inspectors to inspect any sites (not just Iran’s acknowledged nuclear program sites), including military bases, suspected of being involved in nuclear activity. Iran’s violations of this agreement could mean that the lifted economic sanctions would “snap back” into place. What the critics rail about here is that in regard to the suspicious, undeclared sites, the inspectors would not have “anytime, anywhere” access, but rather, in order for inspections to take place, there could be a delay of up to 24 days to allow for dispute resolution and with only “managed access.” However, the allowed inspections of these suspected sites will still be far more robust and intrusive than the current NPT procedures. The NPT’s “Additional Protocol,” which first opened suspected undeclared sites to inspection, does not set any time limit to a delay so that a country can legitimately prevent access to its undeclared sites by engaging in interminable negotiations. “Managed access” is an inspection approach which is intended to protect a country’s legitimate military and industrial secrets while not limiting the IAEA’s ability to carry out its verification activities. Making any site deemed suspect completely open for inspection could conceivably reveal national security secrets having nothing to do with a clandestine nuclear weapons program, and even facilitate the efforts of enemies to attack that country. The United States maintains “managed access” along with a “national security exclusion” to limit IAEA inspection of its sites. Undoubtedly, if any country needs to prevent enemies from discovering its national security secrets, it would be Iran. American and Israeli intelligence agencies have engaged in espionage, sabotage (in which cyber-sabotage loomed large), and assassination efforts aimed at Iran. Both Israeli and American leaders still talk about using a “military option” against it. Having clearer knowledge of Iran’s national security secrets could facilitate attacks, thus making them more likely to occur. And these attacks could be on targets having nothing to do with any clandestine nuclear program since those Americans and Israelis hostile toward Iran want to reduce the country’s overall military and economic power. While critics claim that Iran could clean up such suspect sites, removing all traces of nuclear activity, it has been pointed out that it would be virtually impossible to eliminate all traces of radioactivity in that limited time period. Moreover, any delay would alert the United States and the rest of the world that the suspect site needed a close look and their spy agencies would supplement the work of the IAEA. Also, as the agreement was signed “the issue of Iran accounting for its alleged past work has emerged as a flash point in the debate between Congress and the White House.” Critics don’t seem to want just an Iranian explanation for past nuclear activities, but rather a confession of guilt, since the current Iranian explanations are unacceptable to them. The administration has acknowledged that a confession of having a secret nuclear weapons program is unlikely, but that such a confession was not essential in verifying Iran’s actions in the future. Top administration officials have emphasized that the nuclear accord with Iran rests on meticulous investigation, not on Iran’s trustworthiness. If Iran were regarded as completely trustworthy, there would be no need for this more stringent deal and Iran would simply be expected to abide by the existing NPT. However, to deal with the historical issue, allegations that Iran is on the verge of having nuclear weapons have been made for decades, but the actual development of nuclear weaponry never occurs. In short, it would seem apparent that Iran has chosen not to develop nuclear weapons, and it is even less likely to do so under a more robust inspections regime. The Soviet Union’s cheating may have been “marginal” but its potential danger to the United States was, at least theoretically, far greater than anything posed by Iran. As hard-liners, including the neocons, at that time contended, Soviet cheating could give it significant nuclear weapons superiority over the United States. In such a situation, they warned, the United States might be willing to make major concessions to the Soviet Union—which continued over time would end up as a “de facto” surrender—in the belief that the Soviet Union might think it could effectively decimate the United States in a first strike without suffering irreparable damage by any retaliation. In contrast, the United States faces no comparable risk in the current agreement with Iran. The far more intrusive inspections, the vast improvement of surveillance devices over those that existed during the Cold War, and the much smaller size of Iran compared to the Soviet Union, would seem to make the likelihood of Iran cheating successfully much less than that of the Soviet Union. Moreover, even in the very unlikely event (anything not illogical being possible) that Iran would illicitly develop a nuclear weapon, there would not seem to be any reason that it would, or even could, attack the United States, which could easily decimate it. Even in its rhetoric, Iran has not said that it would militarily attack Israel, despite Western media commentary to the contrary. Eliminating Zionism could by comparison be equated with the past American goal of “eliminating Communism”, which did not entail exterminating Russians or even attacking the Soviet Union. Moreover, regarding any comparison to the Holocaust, it should be noted that, outside of Israel, Iran has the largest Jewish community in the Middle East, which lives in relative safety. Even if Iran should quickly start a nuclear weapons program (a development that the agreement would serve to prevent), with the few nuclear bombs that it could develop in the foreseeable future, any attack on Israel would bring about a massive nuclear retaliation. 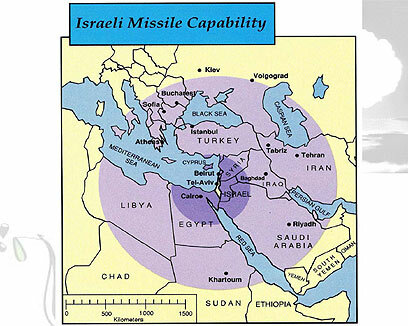 Furthermore, Israel is noted as having developed one of the most advanced missile defense systems, which could very likely provide sufficient protection against the very limited nuclear attack that Iran would be able to mount. And even in the extremely unlikely event (again, anything not illogical is not impossible) that Iran, at some future date, were able to effectively cripple Israel, Israel has nuclear-armed submarines that would be virtually impossible for Iran to counter. Thus, while Iran’s ability to knock out Israel would be highly improbable, Israeli nuclear retaliation would in all likelihood guarantee the incineration of all Iranian cities –and also kill most of the rest of the population by radiation—and essentially bring about the destruction of the Islamic State of Iran. Anti-Iran propaganda wails that Iran’s leaders are apt to launch a suicide attack on Israel regardless of the consequences because they are religious fanatics indifferent to death, an attitude stemming from their purported firm belief in an afterlife in which they would be rewarded for their willingness to launch a nuclear jihad against the Zionist infidels. But there is no real evidence, in terms of either theological belief or past behavior, that this would be the case. For example, Iran’s Supreme Leader Ayatollah Khamenei declared nuclear weaponry to be forbidden as a violation of Islamic principles, as likewise did his predecessor, Ayatollah Khomeini. Moreover, in engaging in any type of warlike actions, Iran has moved with great caution, relying almost always on propaganda and aid to allies. There is no evidence that the Iranian leadership would be willing to sacrifice their country, or their own lives (note that they tend to reach old age, eschewing many possible opportunities to achieve martyrdom), which would be the case in a nuclear war. It should also be emphasized that Israel’s input in driving American political opinion against Iran’s nuclear program, highlighted by Prime Minister Netanyahu’s address to the U.S. Congress on March 3, 2015, reaches the heights of irony since the Jewish state is not even a signatory of the NPT and does not allow any inspections whatsoever of its top secret nuclear weapons program. Furthermore, Israel has been in violation of UN Security Council Resolution 487, which specifically called for Israel to put its own nuclear facilities under the safeguards of the IAEA. This resolution was passed by the UN Security Council in June 1981, with no country opposing and or abstaining, and this included the United States (during the Reagan administration). Needless to say, this resolution is never mentioned by the mainstream American media or political establishment, which have presented international resolutions directed against Syria, Iran, Iraq (when ruled by Saddam) and other designated enemies of the US and/or Israel as the virtual equivalent of Holy Writ. Of course, the U.S. is an abettor of Israel here. Although the U.S. Department of State professes that “the United States remains firmly committed to the goal of a Middle East free of weapons of mass destruction,” it does nothing to pressure Israel to abide by the NPT and makes every effort to prevent other nations from trying to put pressure on Israel to do so. The U.S. does not even officially acknowledge that Israel has nuclear weapons despite having known so for years. When the late Helen Thomas, then considered the dean of the White House press corps, dared to query Barack Obama on this taboo issue in 2009, the president, after some verbal bobbing and weaving, responded: “With respect to nuclear weapons, you know, I don’t want to speculate.” Were it really true that a U.S. president did not do everything possible to find out what countries in the world had nuclear arsenals, much less fail to even engage in speculation on this vital subject, one would think that such lethargy regarding America’s security would lead to demands for immediate impeachment and removal from office. But the supine American mainstream media, like the proverbial three monkeys—hear no evil, speak no evil, see no evil —played along with Israel’s desires and criticized Thomas for asking the question. And Israel’s votaries were, of course, enraged. One thing led to another, culminating in a video recording by a pro-Zionist rabbi of some of her off-the-cuff remarks about Zionist Jews that made her appear as anti-Semitic (very elderly people, as was the 89-year-old Thomas, often tend to be lacking in circumspection), and her once notable career was brought to an ignoble end, at least from the mainstream perspective. The obvious effect of America’s position on nuclear weapons in the Middle East is thus not to promote a nuclear-free area but to guarantee a nuclear weapons monopoly for Israel. While this seems perfectly fair to many Americans, it is understandable why the United States is not seen as an honest broker in the Middle East and in much of the rest of the world. From an objective point of view, this would be an appropriate analysis since the U.S. applies a different standard to Israel than to other countries in that region. Of course, the critics of the nuclear deal claim that while Iran cannot be trusted to have even a peaceful nuclear program, Israel would never use its nuclear weapons except to protect the actual survival of its people—usually topping it off with “from another Holocaust” in order to solidify its moral justification for possessing these weapons. Of course, the question is how early in any conflict Israel would claim the threat of another Holocaust. It could conceivably be used in a preventive attack, which is what some of the critics believe should be taken against Iran right now. Ultra-hawkish neocon Daniel Pipes, for example, cites the use of nuclear weapons as one of three possible scenarios for an Israeli attack on Iran’s nuclear program (the other two scenarios being conventional bombing from airplanes and special ops). He writes: “Nuclear weapons. This doomsday weapon, which tends to be little discussed, would probably be launched from submarines. It hugely raises the stakes and so would only be resorted to, in the spirit of ‘Never Again,’ if the Israelis were desperate.” It should be noted that Pipes makes no effort here to qualify the nuclear attack as consisting only of very low yield, tactical nuclear bombs but instead categorizes the devices as “doomsday” weapons. While Pipes only presents what he thinks might happen, there is additional information on how Israel has treated its nuclear arsenal. Grant Smith points out that “[a]s understood by the CIA back in the early 1960s, Israel’s nuclear arsenal is primarily used to coerce the United States to provide enough benefits that they will never have to be used.” The threat need not be made overtly, though sometimes it has been. During the 1973 Yom Kippur War when the Egyptians achieved early military successes against Israel, though they did not cross its boundaries, Israel is said to have started preparations for a nuclear strike. This caused the United States to quickly strip its armed forces in Europe of equipment and airlift it to Israel, thus enabling the Israeli military to defeat its foes by conventional means. But what would Israel have done if the U.S. had not taken such swift action? A nuclear strike was apparently a strong option. It should also be pointed out that estimates of Israel’s nuclear arsenal range from 75 to 400 nuclear weapons, with, at least, the higher figures going far beyond what is needed for a deterrent against its Middle East adversaries. This number of nuclear weapons along with Israel’s long-range ballistic missiles and submarines make it a potential nuclear threat to many countries far outside the Middle East region. Now getting back to the Iran nuclear deal: some criticism holds that even if Iran should faithfully abide by all the requirements of the nuclear deal, the agreement has time limits, and once these expire in fifteen years, Iran would begin to develop nuclear weaponry, and would be in a better position than ever to do so because of its vast increase in wealth resulting from the termination of the sanctions. “All Iran has to do is take the patience pathway to a nuclear weapon,” opines Mark Dubowitz, executive director of the neocon Foundation for Defense of Democracies. Now this is completely the opposite of the way the United States looked upon the former Soviet Union and China, in which it was maintained that trade and economic development make countries much less inclined toward aggression, and much more willing to accept the existing international order. There is no reason to assume that this would be different for Iran. Moreover, as the Obama administration points out, there is also no reason, whatsoever, to think that other countries, including European ones, would retain their sanctions on Iran, especially since Iran has shown itself willing to make considerable concessions. And the sanctions already are crumbling. Switzerland, which, being neutral, had its own limited sanctions, has lifted them. And France, Germany and Italy are among the European Union countries acting as if sanctions have already been lifted, with their officials, government and private, going to Iran to set up profitable business and financial deals. Furthermore, the idea that the United States could bomb Iran’s sites involved in nuclear enrichment—and, presumably, to continue to do so every few years to prevent their redevelopment—would be a gross violation of international law that would severely harm its standing in the world. Instead of being a global leader, the United States would become more like a global pariah. Administration defenders of the nuclear accord also point out that including these additional issues in the agreement—which would essentially require Iran to significantly change its foreign and domestic policies, after acknowledging the evil nature of what currently exists—would make a nuclear agreement with it impossible. But it is the nuclear issue that has been presented by Iran’s critics as being the principal danger to American interests and to the world in general, not such things as Iran’s support for Hezbollah and the Houthis or the lack of human rights in Iran. Moreover, as a historical analogy, it should be noted that the United States negotiated and concluded the first Strategic Arms Limitation Treaty (SALT I) with the Soviet Union at the same time that the Soviets had invaded Czechoslovakia and provided support for North Vietnam against the United States. What the critics’ effort to tack on these additional issues to the nuclear agreement with Iran tends to illustrate is that for them, Iran’s purported effort to develop nuclear weaponry is not really the major issue, despite the emphasis they placed on this alleged danger, but rather the issue is one of eliminating Iran’s overall power, which would include economic and diplomatic as well as military power, in the region. In short, for the Israeli government and Israel’s American lobby, Iran’s alleged nuclear threat has served the same purpose as Saddam’s non-existent WMD—it generates public support against a target that is designated for other reasons. What goes further to demonstrate the fact that the criticism of the nuclear agreement is not to enhance American security but that of Israel—letting the cat out of the bag, so to speak—is when the critics charge that the agreement is a betrayal of America’s allies—essentially Israel, Saudi Arabia, and the Gulf States. When this argument is put forth by the neoconservatives and other supporters of Israel, however, the inclusion of Saudi Arabia represents the height of insincerity because before Israel and the Saudis came together to oppose Iran as a common enemy, they took a very negative view of the Saudis, with Saudi Arabia being targeted by the neocons for regime change and dismantlement. As for Saudi Arabia, Iran has been its rival for dominance of the Gulf region since before the advent of the Islamic Republic. The rivalry existed when the Shah, a close U.S. ally, ruled Iran, and the outbreak of an overall Shiite-Sunni religious war in the region has heightened it. Furthermore, animosity between Sunnis and Shiites has existed for more than a thousand years. That it is inadvisable for the United States to become enmeshed in an internecine war that has nothing to do with its own interests and will create for it more enemies should be an obvious no-brainer. In regard to Saudi Arabia and Israel being allies of the United States, it is clearly Iran that is doing the most to combat ISIS, which the United States national security leaders have identified as the greatest threat to the nation. Israel is doing nothing and Saudi Arabia’s effort is minimal. In fact, wealthy Saudi private citizens provided initial support for ISIS along with aid to other Jihadi groups, doing so with, at the very least, tacit support from the Saudi regime. And the Saudis’ effort to defeat the Houthis in Yemen has enabled Al-Qaeda in the Arabian Peninsula (AQAP) to greatly expand its territorial control in Yemen. AQAP is seen by the U.S. security establishment as the most globally dangerous of the al-Qaeda branches because of the emphasis it places on attacking overseas targets. In short, Israel is not primarily fearful of a maniacal Iran that will attack it with nuclear bombs or cause havoc in the Middle East with its proxy forces. Rather, its greatest fear is that the nuclear agreement will be the beginning of a rapprochement with the United States that will enable Iran to become an upstanding member of the world community. Iran could aid the United States in helping to bring about stability in the Middle East, which was the traditional goal of United States policy in the region before it became sidetracked by the neocon-inspired destabilization efforts of the Bush II administration. As Robert D. Kaplan, who was named byForeign Policy magazine as one of the world’s “top 100 global thinkers,” writes in The Atlantic, “The United States needs Shia Iran to fight the extremist Sunnis of the Islamic State, and at the same time to pressure the Shia government in Baghdad to moderate its posture toward the Sunnis, in the name of internal stability in Iraq. Should the unhelpful Islamic government in Turkey grow more intractable, Iran could also prove helpful in balancing against it. . . . In addition, Iran and the United States could potentially work in tandem in Syria to preserve the political power of the country’s ruling Alawites—the Alawite sect being an offshoot of Shia Islam—even as they work together to remove President Bashar al-Assad from power. Furthermore, Iran could help steady neighboring Afghanistan in the wake of an American troop withdrawal, by serving as a buffer against pro-Taliban Pakistani and Saudi elements.”  Even if the new relationship between the US and Iran never goes this far, it is apparent that American foreign policy experts, at least those outside the orbit of the Israel lobby, see significant benefits to be derived from cooperation with Iran . Israel is terrified by a U.S.-Iranian rapprochement in which Israel would lose its special relationship with the U.S. and be replaced by Iran. While this fear is overwrought, it nonetheless exists. And there is a considerable degree of truth in this line of thinking. Although it would seem impossible for Iran to actually replace Israel as America’s primary Middle East ally, U.S. cooperation with Iran could lead to a diminution of its all-out support for Israel, which rests on the belief propagated by its American supporters that the Jewish state is by far America’s best and most valuable friend in the Middle East and that the two countries’ interests essentially coincide. The United States might also begin to put pressure on Israel to make concessions to the Palestinians, and Washington might refrain from vetoing every vote against Israel in the UN Security Council. . Moreover, a U.S./Iran rapprochement would have the effect of making Iran a member of the world community, which, with the elimination of sanctions, would be solidified by its business relations with Western countries. With Iran no longer being viewed as a rogue nation, the international spotlight would tend to fall more on Israel’s uninspected nuclear arsenal and its mistreatment of the Palestinians. In a worst case scenario from the Israeli perspective, the effects of the nuclear agreement with Iran could spiral into Israel’s global isolation, the only alternative to which would be for Israel to join the NPT; allow for a viable, fully sovereign Palestinian state on the entire West Bank and Gaza; and perhaps even allow for equal rights for Palestinians who live in Israel proper. From the standpoint of the Israeli right, and even many other Israeli Jews, such developments would portend the end of a Jewish exclusivist state, which is Israel’s very raison d’etre. In essence, a peaceful Iran could be far more dangerous to Israel than one that was perceived as being bellicose. Now the scenario sketched above is a possibility but far from being a certainty. For Israel and its American lobby are not noted for complacency and will do everything possible to nip this potential danger in the bud. All Republican candidates say that they would revoke the agreement. Should Hillary Clinton be the next president, she too might take steps to undermine the agreement, given that her major backer is Haime Saban, who publicly stated that Israel is his fundamental political concern. But the fact of the matter is that America’s allies who have signed the accord are unlikely to follow along and reinstate sanctions, especially since, as pointed out earlier, they are already acting as if the sanctions have been lifted. And China and Russia almost certainly would not follow the U.S. Without most of the major countries in the world participating in the sanctions, the economic effect on Iran would be negligible. Anti-Iran propaganda could persuade a significant portion of the American public that Iran has violated the nuclear agreement and/or that it is engaging in serious terrorist activities. (Specious propaganda obviously works with the American public, as recent history shows.) That Iran would be seen as double-crossing the United States after making a solemn deal would make the public more hostile than ever toward Iran. Ultimately, the United States might scuttle the agreement and not simply reinstate sanctions but initiate some form of military action. In short, although Israel and its American myrmidons have lost a battle of considerable significance, they are still far from having lost the war for the control of American Middle East policy. Ari Yashar and Matt Wanderman, “US Declassifies Document Revealing Israel’s Nuclear Program,” Arutz Sheva, March 25, 2015, http://www.israelnationalnews.com/News/News.aspx/193175#.Vbzd-vlViko. “Israeli Nukes, US Foreign Aid and the Symington Amendment,” The Israel Lobby Archive, The Institute for Research: Middle Eastern Policy, http://www.irmep.org/ILA/nukes/default.asp ; Kenneth J. Theisen, “Israeli Nukes? Not according to the U.S.,” http://www.worldcantwait.net/index.php/palestine/5521-israeli-nukes-not-according-to-the-us. Switzerland lifts sanctions against Iran, Reuters, August 12, 2015,http://www.reuters.com/article/2015/08/12/us-iran-nuclear-swiss-idUSKCN0QH22120150812; Simon Tisdell, “Sanctions against Iran crumble as America wrangles over the nuclear deal,” The Guardian, August 5, 2015, http://www.theguardian.com/world/2015/aug/05/nuclear-deal-with-iran-europeans-scramble-for-persia; Alissa J. Rubin, “After Deal, Europeans Are Eager to Do Business in Iran,” New York Times, August 1, 2015,http://www.nytimes.com/2015/08/02/world/europe/after-deal-europeans-are-eager-to-do-business-in-iran.html?_r=0 ; Shadia Nasralla and Maria Sheahan, “Iran is eyeing $185 billion oil and gas projects once sanctions lift,” Business Insider, July 23, 2015, http://www.businessinsider.com/iran-is-eyeing-185-billion-oil-and-gas-projects-once-sanctions-lift-2015-7. Dov S. Zackheim, “The Iran Nuclear Agreement: Tehran ‘Achieved All It Wanted,’” National Interest, July 14, 2015, http://nationalinterest.org/feature/the-iran-nuclear-agreement-tehran-achieved-all-it-wanted-13334. Vali Nasr, “Why did Iran sign on to a deal that will weaken its regional hold?,” Washington Post, July 31, 2015, https://www.washingtonpost.com/opinions/why-did-iran-sign-on-to-a-deal-that-will-weaken-its-regional-hold/2015/07/31/a9f48494-354a-11e5-8e66-07b4603ec92a_story.html?tid=hybrid_content_2_na. Flynt Leverett and Hillary Mann Leverett, “The Saudi Finger-Pointing at Iran,” Antiwar.com, June 13, 2015, http://original.antiwar.com/Leveretts/2015/06/12/the-saudi-finger-pointing-at-iran/; Stephen Sniegoski, “Iran: The Aggressor or the Aggressed Upon?,” The Council for the National Interest, May 3, 2015, http://www.councilforthenationalinterest.org/new/iran-the-aggressor-or-the-aggressed-upon-stephen-sniegoski/#.Vb37rvlVikp. Flynt Leverett and Hillary Mann Leverett, “The Saudi Finger-Pointing at Iran,” Antiwar.com, June 13, 2015, http://original.antiwar.com/Leveretts/2015/06/12/the-saudi-finger-pointing-at-iran/; Stephen Sniegoski, “Iran: The Aggressor or the Aggressed Upon?,” The Council for the National Interest, May 3, 2015, http://www.councilforthenationalinterest.org/new/iran-the-aggressor-or-the-aggressed-upon-stephen-sniegoski/#.Vb37rvlVikp . Stephen Sniegoski, “Saudi Arabia: The Neocons’ Once and Future Target,” My Catbird Seat,August 29, 2012, http://mycatbirdseat.com/2012/08/saudi-arabia-the-neocons-once-and-future-target/. John J. Mearsheimer and Stephen M. Walt, “The Israel Lobby,” Middle East Policy, 8:3 (Fall, 2006), p. 33; See Stephen Sniegoski, “Israel: Strategic Ally or Liability?,” My Catbird Seat, June 12, 2010, http://mycatbirdseat.com/2010/06/israel-strategic-ally-or-liability/. Patrick Cockburn, “Iraq crisis: How Saudi Arabia helped Isis take over the north of the country,”Independent, July 13, 2014, http://www.independent.co.uk/voices/comment/iraq-crisis-how-saudi-arabia-helped-isis-take-over-the-north-of-the-country-9602312.html; Josh Rogin, “America’s Allies Are Funding ISIS,” Daily Beast, June 14, 2014, http://www.thedailybeast.com/articles/2014/06/14/america-s-allies-are-funding-isis.html. Robert D. Kaplan, “Warming to Iran,” The Atlantic, January/February 2015,http://www.theatlantic.com/magazine/archive/2015/01/warming-to-iran/383512/ . The executive agreement, which has essentially the same status as a treaty in terms of international law, is a device that has been used from the beginning of the Republic but has become much more common since the presidency of Franklin D. Roosevelt. They have become far more popular to presidents than treaties since they do not need a two-thirds vote in the Senate to become law. For example, Ronald Reagan made 2,840 executive agreements and only 125 treaties; George W. Bush made 1,876 executive agreements and only 131 treaties; and Bill Clinton made 2,058 executive agreements and only 209 treaties. Melissa Quinn, “History Shows Obama Doesn’t Need Congress to Seal Iran Deal,” The Daily Signal, March 13, 2015, http://dailysignal.com/2015/03/13/will-white-house-pursue-treaty-executive-agreement-iran-heres-need-know/ ; Amber Phillips, “Can Congress stop the Iran deal?,” Washington Post, July 14, 2015, http://www.washingtonpost.com/news/the-fix/wp/2015/07/09/the-role-of-congress-or-lack-thereof-in-the-iran-deal-explained/. Amber Phillips, “Can Congress stop the Iran deal?,” Washington Post, July 14, 2015,http://www.washingtonpost.com/news/the-fix/wp/2015/07/09/the-role-of-congress-or-lack-thereof-in-the-iran-deal-explained/; John Yoo, “Why Obama’s Executive Action on Iran Does Not Violate the Law,” National Review, July 26, 2015, http://www.nationalreview.com/article/421621/iran-deal-constition-supports-obama-executive-action. Julie Pace, “GOP presidential candidates pledging to overturn Obama’s Iran deal would face big obstacles,” US News and World Report, July 17, 2015,http://www.usnews.com/news/politics/articles/2015/07/17/for-candidates-revoking-iran-deal-easier-to-pledge-than-do. Justin Raimondo, “The Liberation of US Foreign Policy,” Antiwar.com, August 7, 2015,http://original.antiwar.com/justin/2015/08/06/the-liberation-of-us-foreign-policy/. Philip Giraldi, “Waving the ‘False Flag,’” Unz Review, January 27, 2015,http://www.unz.com/pgiraldi/waving-the-false-flag/. David Hirst, “The Lavon Affair,” Excerpts from his book The Gun and the Olive Branch, http://www.serendipity.li/zionism/lavon_affair.htm. Rowan Scarborough, “US troops would enforce peace under Army study,” Washington Times, September 10, 2001, http://www.washingtontimes.com/news/2001/sep/10/20010910-025319-6906r/.